Today we take another look at Jerry Hopper‘s maritime adventure Alaska Seas (1954). 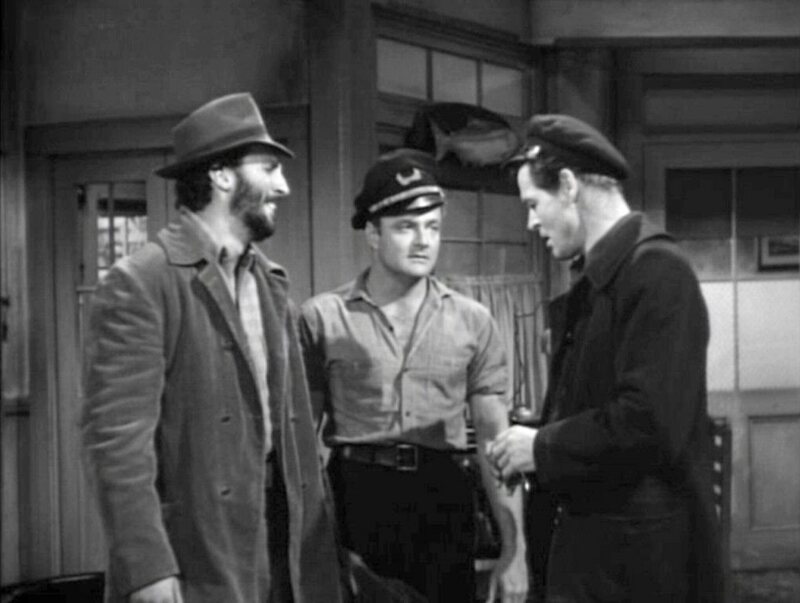 Boat repairman Wycoff is still trying to get his $920.60 from Matt Kelly (Robert Ryan), as Jim Kimmerly (Brian Keith) looks on. Many of us are probably most familiar with Keith from his role as Uncle Bill in the classic sitcom A Family Affair (1966-1971). 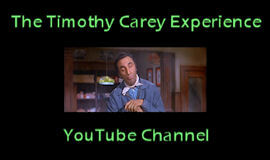 He was, however, a reliable presence in many films and television shows from the 1950s until his death in 1997. He even appeared in two silent films at the age of three. His stepmother was starlet Peg Entwistle, who gained notoriety as the girl who committed suicide by jumping off the “Hollywoodland” sign in 1932. His own passing was also under very sad circumstances. Suffering from emphysema and terminal lung cancer, and mourning the suicide of his daughter only ten weeks earlier, he too took his own life at the age of 75. This entry was posted in Film and tagged a family affair, alaska seas, brian keith, jerry hopper, peg entwistle, robert ryan, the hollywood sign, timothy carey. Bookmark the permalink. Carey in a film with Brian Keith AND Robert Ryan – what a great cast. Very sad about Brian Keith, though. He was one of those actors who never gave a bad performance. Agreed. Such a sad story. This is a pretty good film, though, and worth checking out for sure.